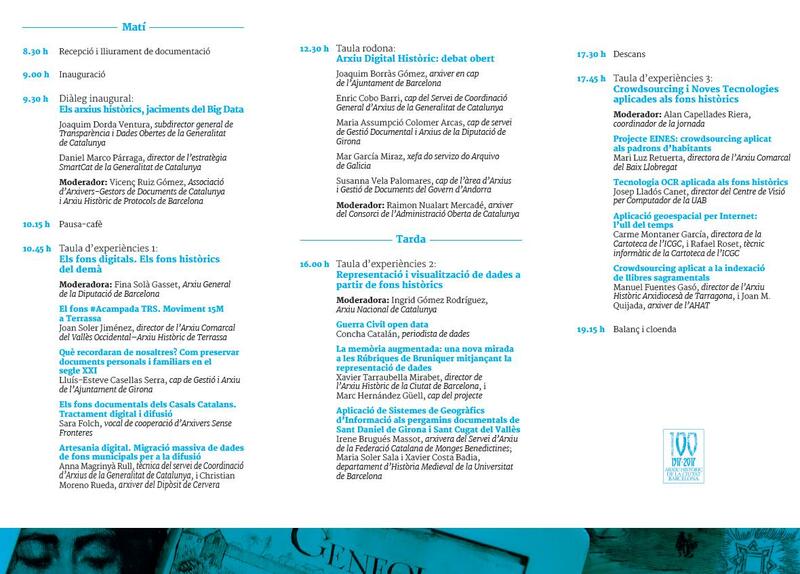 On Thursday 25 May we continued with our work with the archives. 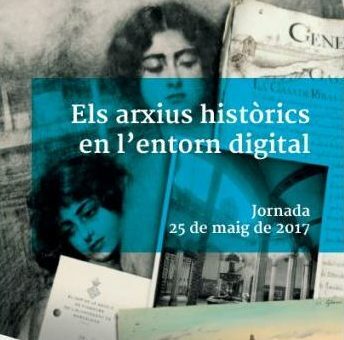 As users of new technology and digital platforms to widen access to historical documents, we attended a day-long workshop Els arxius històrics en l’entorn digital (Historical Archives in the Digital Age) which is being organised to celebrate the centenary of the Arxiu Histórico de Barcelona. We participated in a session on the representation and visualisation of data drawn from historical sources. 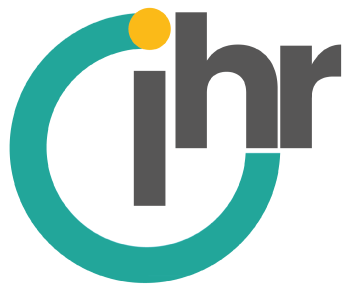 In addition to presenting our project of developing a centralised database listing the victims of the Spanish Civil War, on which we are currently working, we will be discussing Eight Hundred Days Under Bombardment, our project originally produced for Barcelona Televisió. This includes an audio-visual summary of the bombardment of Barcelona in 1937-1938 as well as an interactive map of air-raid shelters and of sites where bombs fell. Following changes at Barcelona Television this is currently only available in an Italian version. 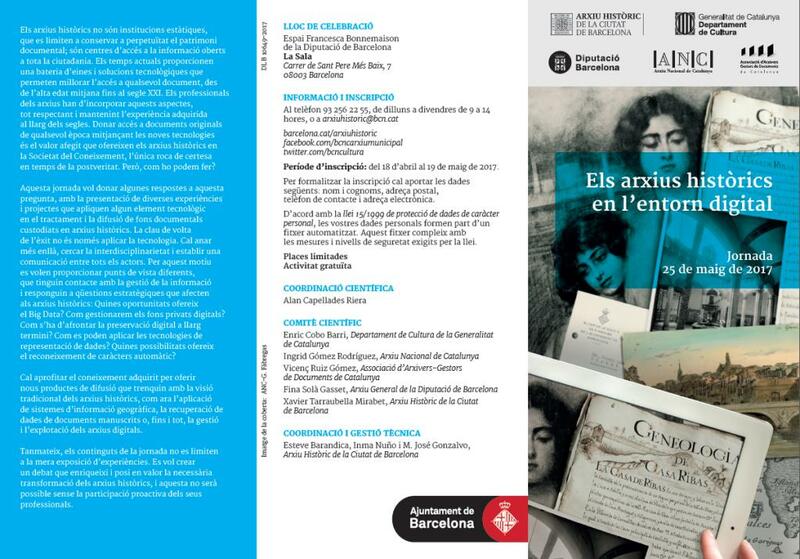 Perhaps because, as they say in Spanish ‘nobody is a prophet in their own country,’ Eight Hundred Days Under Bombardment can therefore be viewed on the website of the exhibition Catalogna Bombardata, which has been shown in nearly 70 cities and towns in Italy, but not in its original Catalan version.